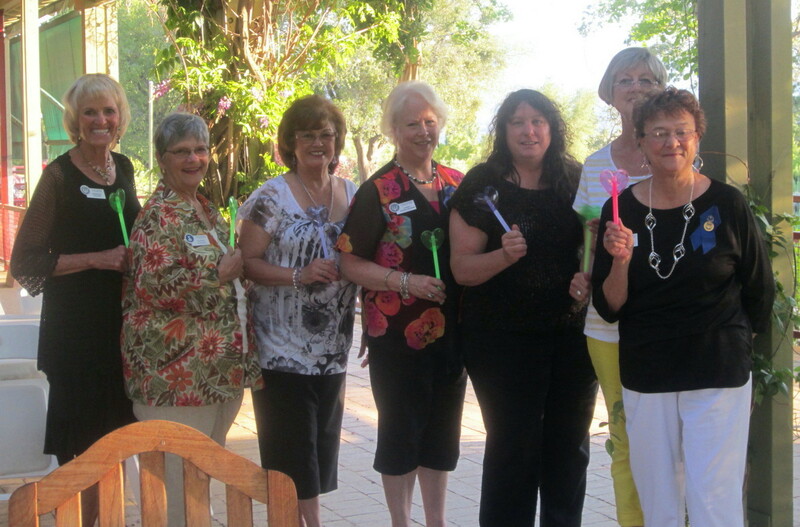 On Wednesday, June 4, 2014, under the arbor at Camps Restaurant, Angels Camp, officers for the upcoming year were duly installed. 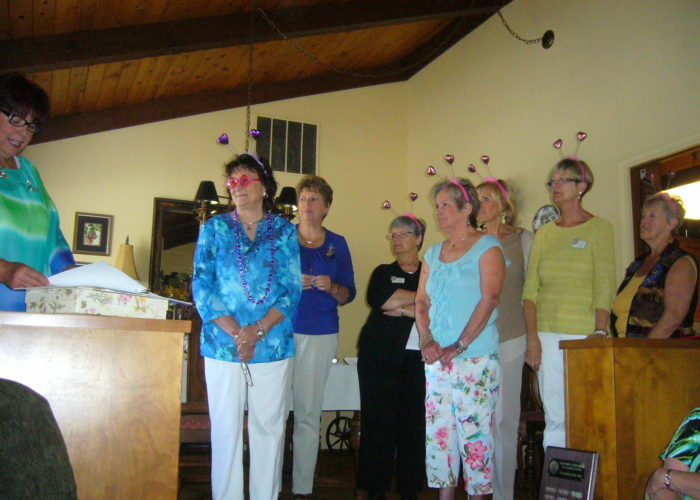 Past Governor Pat Jones, Modesto, was the installing officer and her theme was Friendship. There were several Region guests who joined the festivities. They were (besides SPR Past Governor Pat Jones): Region Treasurer & Past District II Director, Terry Hughes; and Incoming District II Director, Bonnie Silvera. 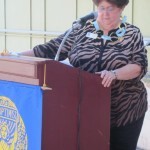 Installing Officer for the Installation was Sierra Pacific Region (SPR) District II Director, Terry Hughes. Other SPR dignitaries in attendance were: Governor Pat Jones and Barbara Giambastini, SPR Program Chair. Amenities committee members Norma Rash and Roberta Bean assured that all was in place for a very special installation. 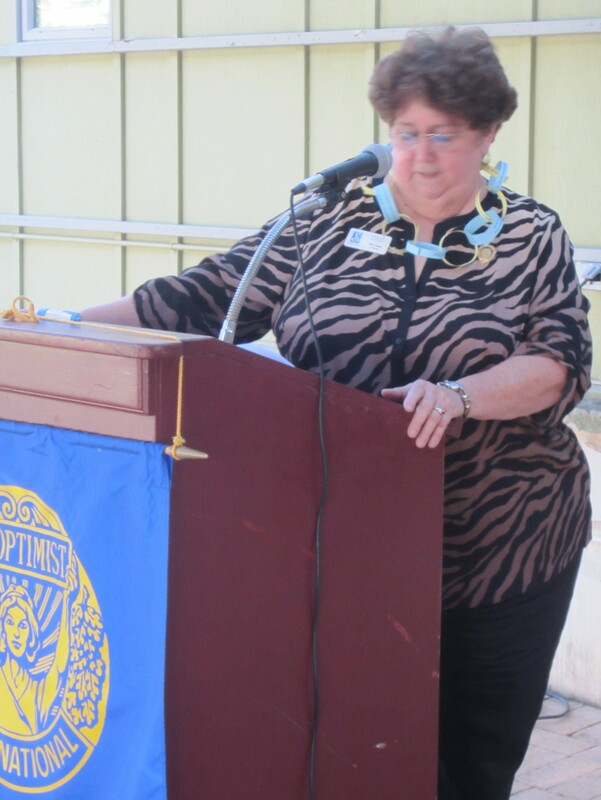 It was a beautiful, sunshiny day on June 24, 2012, the date that Soroptimist International of Calaveras County chose for the installation ceremony of the officers for club year 2012/13. 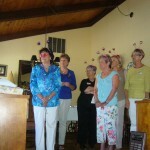 The lovely home of Carol Tyrrell, our most seasoned member, was the venue for the event. Lovely flowers with freshly cut greens adorned each of the elegantly set tables. Shades of pastels: pinks, yellows, blues and greens added vibrance to the centerpieces and were repeated on the program cover. Norma Rash, a member and Past President of SI Truckee Meadows, was chosen as President Billie Westernoff’s installing officer. 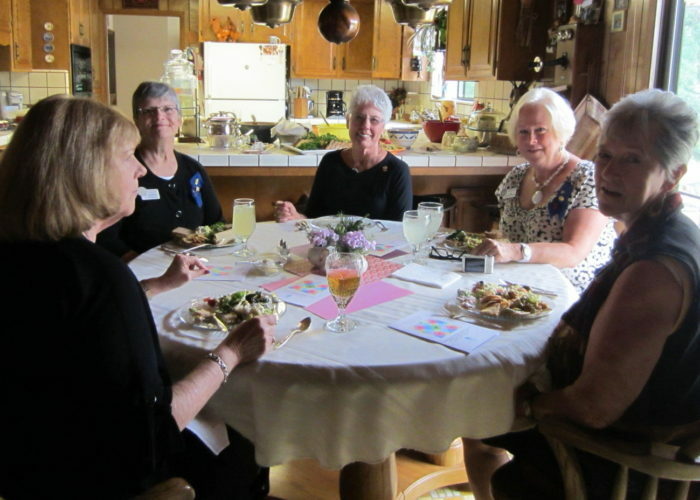 Joining us on this occasion were Sierra Pacific Region dignitaries including Governor Pat Jones, Parliamentarian Barbara Giambastini, and past District III Director, Nancy Lilly with Mr. Soroptimister, husband, Guy. 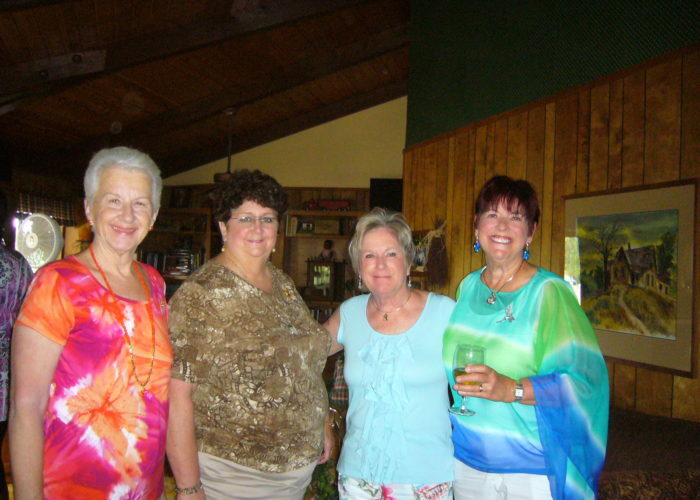 Additional guests included President Billie’s daughter, Kelleen Randolph, friend, Kathy Houle, and past member, Gloria Correy. 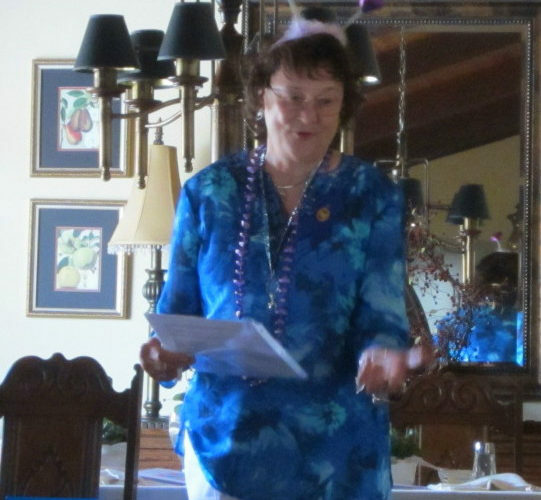 President Billie has chosen as her theme “Soroptimists in Service-Sharing the Heart and Soul of Friendship.” Past member and now Friend of SICC, Gloria Correy, gave “opening thoughts” as the installation began. 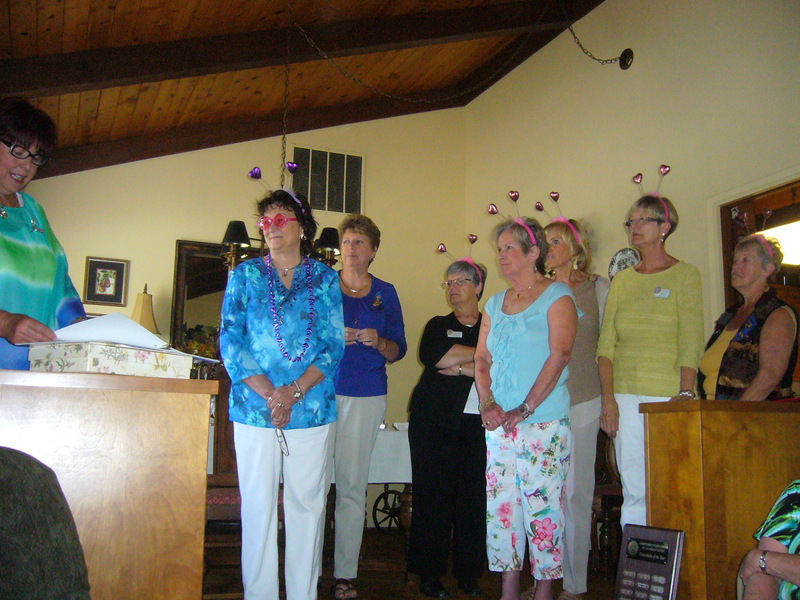 Each incoming officer was presented pink, fuzzy headbands and read the duties of their offices. Laughter and fun were the order of the day. Past President Lee Croletto exchanged President’s pins with Billie and share some “words of wisdom” based on her experiences as SICC’s immediate Past President. Officers installed are as follows: President, Billie Westernoff, Corresponding Secretary, Patty Amarante, Recording Secretary, Barbara Draper, Treasurer, Chyrl Hillis, Service Director, Roberta Bean, and Technical Director, Karen Strand. 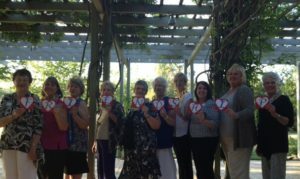 Other SICC members in attendance were: Charlotte Mulcaster, Dree Hedrick, Past President, Lee Croletto, Shirley Ryan, and Carol Tyrrell. A delicious potluck luncheon was served to the delight of all. 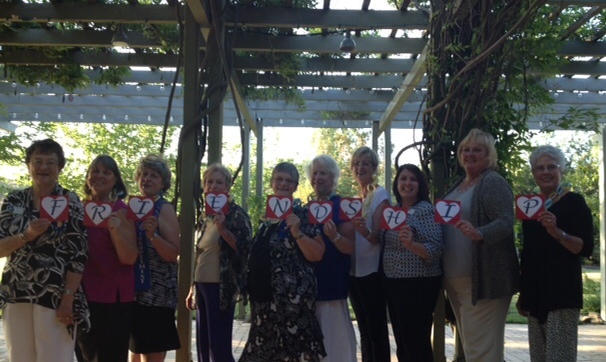 It was a wonderful afternoon of friendship and sharing. Congratulations to the 2012/13 SICC Board of Directors.